Get your Music Business Questions Answered. Who should get your music? Find a music producer, composer or songwriter. Find platinum players in the music business. Find more talent shows, music showcases and open mics to perform in. Get signed by a major or independent record label. Find an entertainment attorney or lawyer. 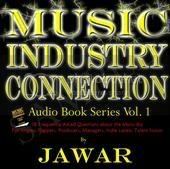 The Music Industry Connection Ebooks are zipped in pdf formats. Download (install) Adobe Acrobat Reader to view pdfs. Download (install) Unzip Software to open ebooks. Atlanta Music Industry Connection, Los Angeles Music Industry Connection, The Truth about Record Pools & Music Conferences, Talent Shows & Open Mic, 18 FAQ's about the Music Business.